Fans of gripping police simulation games will need a little bit more patience before they can go on patrol in the fictional US city of Loston Bay: In order to meet the wishes of their very active and enthusiastic community developer Bigmoon Entertainment and publisher astragon Entertainment have decided to postpone the release of POLICE SIMULATOR 18 on PC to summer 2018. 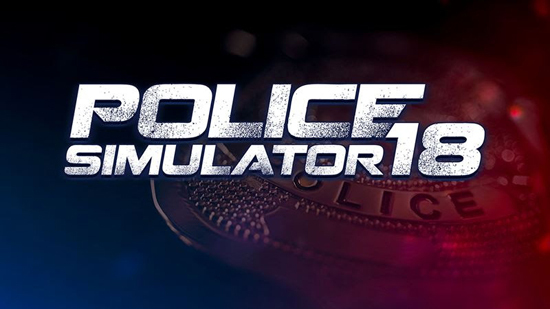 “Through our close communication with the members of our player community we have received a tremendous amount of constructive feedback regarding the development of POLICE SIMULATOR 18 from police fans all over the world. We are of course striving to implement as many of these elements as possible, so that we will be able to offer players a police simulation that fully matches their expectations. We have therefore come to the conclusion that it will be beneficial to extend the development period by a few more months and postpone the release of our game to summer 2018,” explains Benjamin Wolf, producer at astragon Entertainment, the publisher’s decision. In POLICE SIMULATOR 18 the player will slip into the role of a real US police officer – either male or female – and discover the interesting challenges and varied tasks that lie waiting for him in the streets of the sprawling US city of Loston Bay. The player can choose to go on patrol through three different city districts either alone in the game’s single player mode or together with a friend in the cooperative two-person multiplayer mode. The extremely expansive - and thanks to the use of the Unreal® Engine 4 very lifelike – metropolis can be freely explored by the player either on foot or in one of three distinct patrol cars. In addition to these police cars with their fully functional cockpits the virtual cop will of course also be able to use a broad range of authentic police equipment.